I have a lot of comics covers that I have saved on my hard drive over the years, not knowing what I would do with them—until I had a blog! 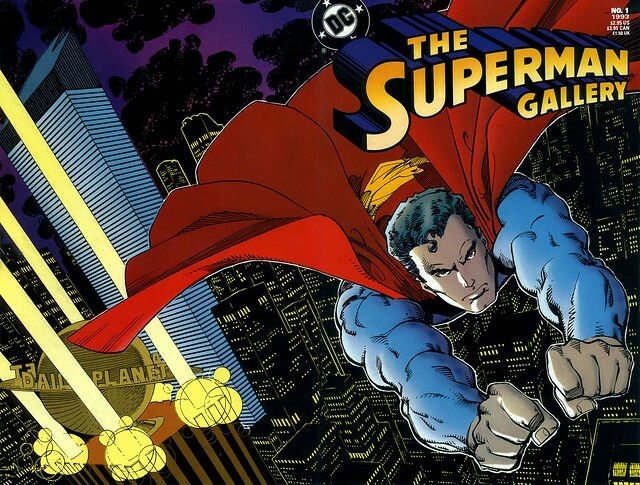 This cover by Walt Simonson, for The Superman Gallery in 1993, had such a nifty design that I fell in love with it. It’s taken at an angle, just slightly askew, like a camera shot, of Superman flying over Metropolis. The floodlights on the Daily Planet are shooting off in the night sky, with Luthor’s building looming ominously in the background. I had forgotten about this cover until Simonson released his own scan of the original pen and ink version on The Official Walter Simonson Facebook Page. I think it looks even more impressive without the color. I have to wonder how long it took him to ink all the buildings in black? 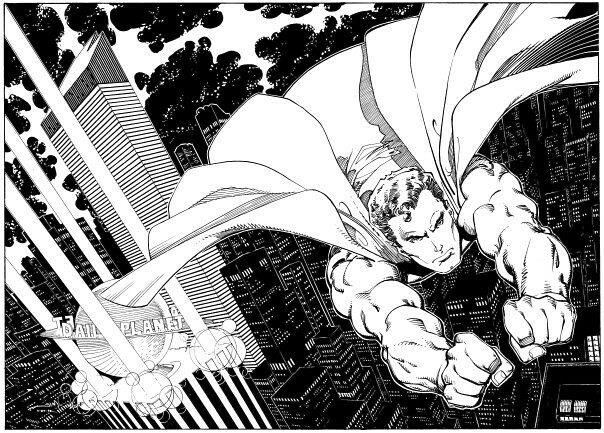 I wish Simonson had a crack at writing and drawing Superman. Do you suppose he ever came close to doing this in his career? Nuff Said!